Why use Text SMS services with short links for marketing? Text SMS has been on our list of services since 2001. We started out as text sms brokers. In 2004 we set up our own texting platform offering an HTTP API, SMPP and basic web panel services. Back in 2004 we started out sending messages with clickable links using Wireless application protocol (WAP) to older handsets. 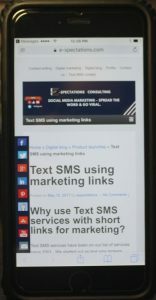 Smartphones allow marketers and users to insert links into messages. Mobile landing pages that disseminate the correct information allows users to obtain the necessary information in a smart and fast way in order to elicit a call-to-action. 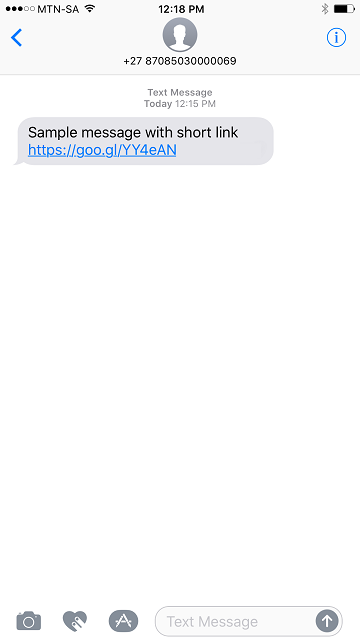 Text messages containing clickable links. Handset owners click on the link and it opens a mobile landing page on the smartphone handset. Marketers measure click-through-rates and cost-per-click to measure the performance of a campaign. A report published by Gartner end 2016, indicated that mobile handset purchases grew with 7% in 2016’s fourth quarter. This market grew with 5% between 2015 and 2016. Combine this fact with Google’s mobile first approach, one cannot ignore the fact that the amount of people using desktops for any communication is decreasing. Marketers know this. Mobile handsets are in people’s personal space. It is a great opportunity to communicate any information to a target market. The average click-through-rate for SMS with clickable links is 36%. We tested our own routes for short link support between November 2016 and February 2017. We found that lower quality routes are not reliable. 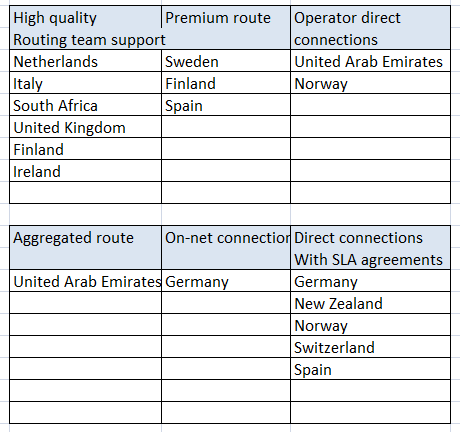 Below a list of the higher quality routes that we tested with a description of each route for this specific clients’ target markets. Please note upfront that these routes are higher quality, therefore, higher priced. Having said that, we do have economy routes that we can test with interested clients, but we did find that the click-through-rates are not as high as with quality routes. Below a list of routes and target market destinations. These routes are tested (4 month period) and we have great support from our partners should any of the routing options present a problem. We can arrange testing for any country you stipulate. Mobile termination – one-way text messaging. Short link Text SMS messages. ‹ Page Speed is it important?